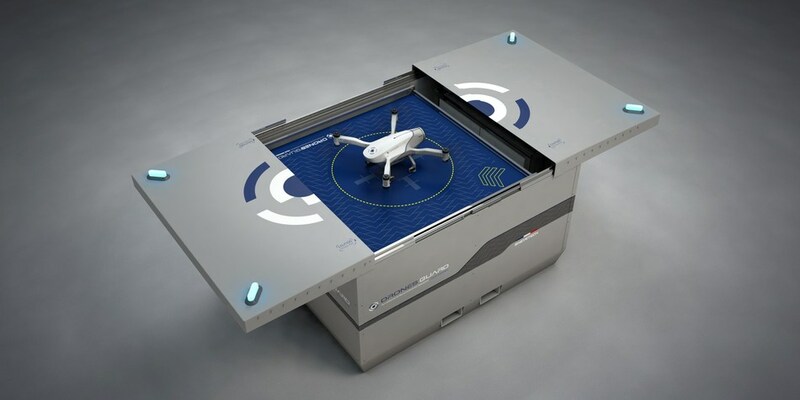 Azur Drones, a European surveillance UAV company, has just received the first and only DGAC approval for a fully-automated drone – Skeyetech- which takes off from a docking station and requires no remote pilot. This specific approval is unprecedented since any authorized flight scenario in France requires a qualified pilot. Skeyetech drones can fly over private areas, Beyond Visual Line Of Sight (BVLOS), day or night, and in urban areas, under just the supervision of a remote operator. With this unique approval, the system will be directly operated by a security guard with no pilot license. The drone will be used to patrol the area or provide valuable aerial insights in case of an alarm. The company aims to make autonomous drone a standard in the security market, in France and overseas. Azur Drones is already under discussions with other authorities in order to get similar approvals in several other countries.